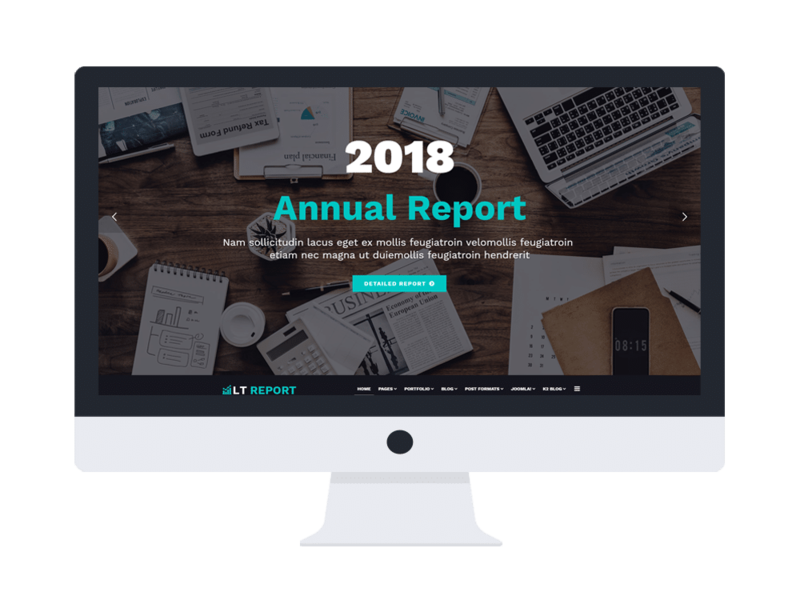 LT Report is a fully Responsive and modern Financial Reporting website template that will be perfect for presenting your monthly, annual business report, no matter what size of your business, it is still suitable for any of your request. Come with a sharp and elegant design, LT Report brings to your site a professional environment for showcasing successful business results that your company access after a period of time, in a beautiful and eye-catching way. The way this theme content organized is great, so viewers will not get boring or missing any important information. LT Report framework is supported by Page Builder for layout, Shortcode for presenting content easily. Especially, visitors can also access to your site with their mobiles and all the content can be browsed smoothly with fully responsive layout, no matter devices they are using. Besides, this theme also supports 4 color styles and working with strong framework, unlimited module positions and easy to drag-drop layout content, you will get it easy to make any changes on your site without any effort! Don’t just stand there, come and take a look at Live Demo now!